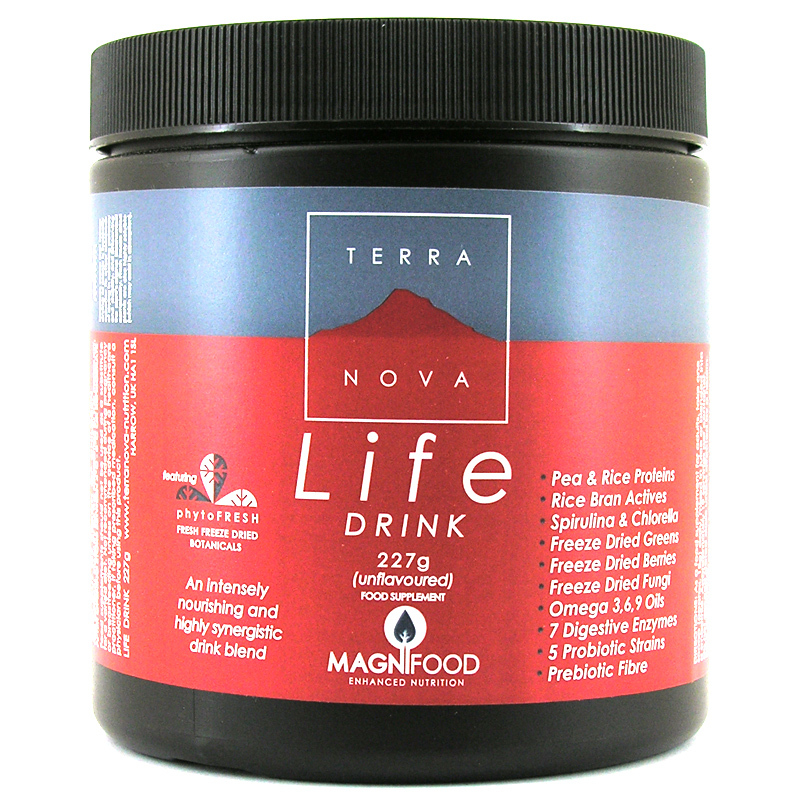 Terranova Life Drink is made with pea & rice protein, spirulina & chlorella, 10 power-berries, Omega 3,6,9 oils, 5 Probiotic, rice bran actives, 10 power-greens, power-mushrooms, 7 digestive enzymes, prebiotic fibre. BALANCED VEGETABLE PROTEIN When pea and rice protein are combined, the resulting amino acid profile provides one of the most balanced proteins achievable from 100% vegetable sources. RICE BRAN ACTIVES Stabilised rice bran provides more than 100 known antioxidants, beta glucans, tocotrienols, phytosterols, vitamins, minerals, carotenoids, CoQ10, alpha lipoic acid and many other valuable compounds. POWER-ALGAE Spirulina and chlorella provide a remarkably high level of chlorophyll, carotenoids, highly digestible protein, enzymes, vitamins and minerals. POWER-GREENS The 100% fresh freeze dried green foods in Life Drink provide a remarkable array of beneficial nutrients, i.e. 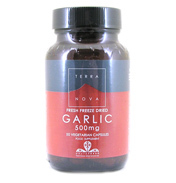 sulphoraphane, indole-3-carbinol, glucosinolates, carotenoids, chlorophyll, live enzymes, vitamins, minerals, etc. 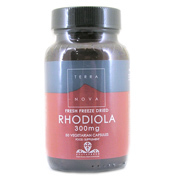 POWER-BERRIES The 100% fresh freeze dried berries and other fruits in Life Drink have been selected due to their collective flavonoid and carotenoid profile - providing a broad colour spectrum from blue to purple to red to orange to yellow (i.e. 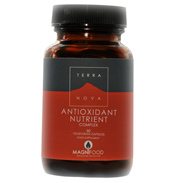 anthocyanins, proanthocyanidins, catechins, quercetin, kaempferol, lutein, lycopene, zeaxanthin, alpha and beta carotene, etc). 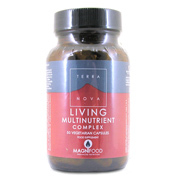 OMEGA 3,6,9 OIL BLEND Life Drink's nutritional oil blend provides omega 3, 6 and 9 fatty acids (in the often recommended 2 : 1 : 1 ratio) from flaxseed, borage and olive oils. 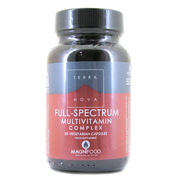 POWER-MUSHROOMS The mycelia of reishi mushrooms are abundant in beta glucans polysaccharides, while shiitake mushrooms are known for their content of the highly re- searched beta glucan compound lentinan. 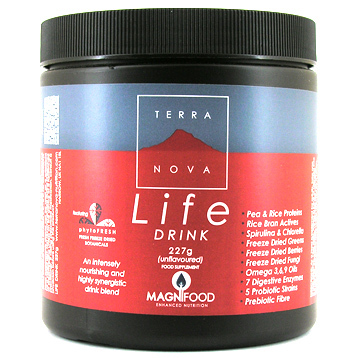 LIFE DRINK PRO- AND PREBIOTICS Life Drink probiotics benefit from advanced technology achieving optimal viability and digestive stability. These microflora have been enhanced with prebiotic ingredients such as larch tree arabinogalactan and stabilised rice bran solubles. 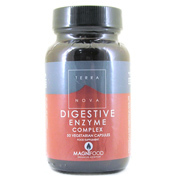 LIFE DRINK DIGESTIVE ENZYMES The digestive enzymes in Life Drink have been shown to be stable and functional within a wide range of digestive pH. This blend has been formulated for the breakdown of not only proteins, starches and fats, but also potentially problematic oligosaccharides (i.e. raffinose) and disaccharides (i.e. lactose and sucrose). 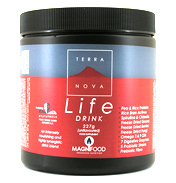 This blend is enhanced with fresh freeze dried ginger root. 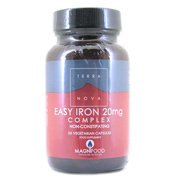 As a food supplement for adults, take 1 scoop (approx. 12g) daily, mixed in juice or blended into a smoothie. Do not exceed stated dose unless directed by a healthcare practitioner. Approximately 19 servings per container.